Thingsee - Worlds' first smart developer device. Thingsee completely changes the way Internet of Things is built by creating high-quality open source devices for innovative companies and individuals alike. Thingsee One is the world's first smart developer device. It allows creative minds to get their IoT solution ready with less time and money, focusing purely on the product experience. 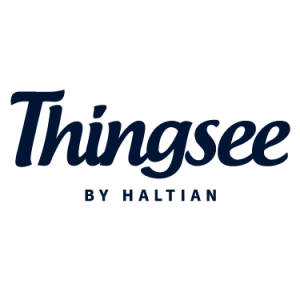 Thingsee is a new venture for Haltian Ltd, a rapidly growing design and engineering house based in Oulu, Finland. The people at Haltian have built over fifty mobile and smart devices, and now they help their customers define tomorrow with high-quality devices and software.